I heard about mushroom, that if the mushroom is offended (dig, defame, discard), then you will not find it any more. You'll hear the smell, but you will not find the mushroom. But it's not about that. The fungus has extraordinary healing properties. The elderly neighbor had decubitus (when the body is already rotting), and her daughter smeared the infusion of the mushroom with the affected areas, then applied the skin (pulled out of the tincture) and the wounds healed. Over time, new ones appeared, she again greased + applied and thus eased her suffering. My dad always had “heartburn,” so he just ate the raw egg of Veselka mushroom right in the forest. For autumn, eat 5-6 pieces, and then the whole year does not know what heartburn.... And in one year I could not find these mushrooms, I suffered so much for a year, so I realized that it was Veselka that helped. The mushroom rind (either raw or extracted from the tincture) is beautiful heals wounds. I used to pierce my foot with a shell of a river. Deeply so. At once I did not pay attention (I'll get sick and stop), and the next day I found a lot of pus, and the pain that I could not get on my leg, I stuck (that is, put it on, and when it dries up, it keeps itself) in the morning (somewhere hours in 10) and by the evening the leg was no longer sore, I went with a stuck skin, and the next morning the wound was fully tightened. I haven’t treated the child with tincture yet, although I have it at home, but at my niece in 1,1 there is a year after piercing their ears pissed off, so we smeared with tincture and ears healed in a few days. At the end of 90-x, I even sold this mushroom, and positive feedback from those who bought it overheard a lot. I drank an infusion of mushroom Veselka. I had dysbiosis + staphylococcus (98% of alien microflora), treated six months - thousands of money spent and no result. When there was nothing to lose, I tried to infuse this mushroom ... and it helped! The made analyzes testify, that my microflora already on 100% normal, without application of what or probiotics or other medicines. She also was afraid to drink it and only laughed that some strange mushroom would help me. But the results suggest otherwise. My mother cured them gastritis, passed increased pancreas and liver. When I have pain stomach - I drink mushrooms. And now the joker is number one for me from the stomach. In the summer, I bitten some insect in the hand. The place was very itched and there was a bump (there was no sting). Two weeks did not go away and I was already thinking about going to the doctor, and then my mother again reminded me about the mushroom. Twice a day, I smeared Veselka with tincture - in two days there was not a trace left. 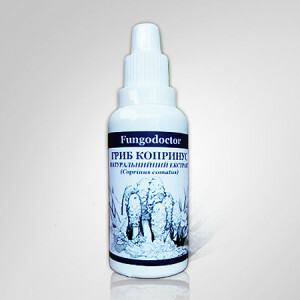 I know that the fungus also helps in other diseases - in an Internet about it a lot of information. For the security of this infusion is calm, because my father collects the mushrooms and makes it himself. Hello! I'm aching Multiple Sclerosis already 17 years. I still go, though not for long and not far. She was treated with dexamethasone, half a year with laferon, plasmapheresis, repeatedly with pressure chambers (very well suited) all summer I sit on neuromidine. Twice a year - aktovegin course. From unconventional - a solution of Sophora, red grape young wine (I make it myself), celandine. 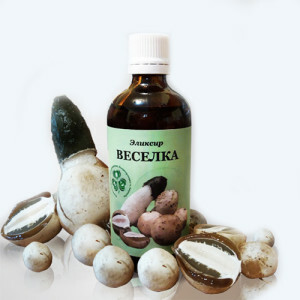 A month ago, tried the mushroom Veselka, she found herself, she insisted and took 3 weeks on 1 a tablespoon a day. The result exceeded all expectations! There was a vividness in the fingers, significantly decreased spasticity. After an 5-year break, she started knitting again. My friend had a strong burn - she poured a pan of water on her breast - how the treatment tasted the vestibule. We all do not have enough joy in life, so it can not be for nothing that the mushroom is named! Veselka is a very strong anesthetic. It can be used when toothacheAt burnsAt pressure sores, rub into stiffened hands and feet. I accept it in the fall and spring. The process of degradation of opportunities has stopped. Only my heart surrenders, and this is my family, heart failure for more than 10 years. I would compare the treatment with ointment by its properties with the treatment with dexamethasone. Good day to all! I want to share a miracle fungus! For several years now I have been compiling and insisting on a fun, more than 7 years, and I was forced to do this illness "perforating ulcer"The ulcer healed, and four years ago the mother-in-law was found brain and lung cancer, after removing one lung and a tumor in the head it would not seem to live, but for more than 4 years she has walked, breathes happy life, the disease has ceased to progress, she has been taking two courses a year, taking mushrooms veselka from cancer. I myself drink for a year for a couple of courses, and when I collect, I try and use raw! I know about this mushroom already 3 years - the bitter experience of a colleague at work. Her son (32 years) multiple sclerosis - already lost sight, coordination. They gave the group. They wanted to test different medications on him in the mental hospital. For want of money, they refused everything and began to take the mushroom in powder, because with this disease it is impossible to alcohol. Now, after a year of admission, he goes out into the street, working on the computer. The disease began to recede. And it's great. I also prepare it, now the second wave has just started. I live in Vinnitsa. Good luck to all. My great-great-grandmother also treated me gay. I know about the vesicle almost from the cradle. I personally saw and I know those people who with the help of vesicle cured tumor. My mum myoma of the uterus at itself has cured. Three years ago she cured her neighbor from skin cancer head. The spectacle was not for the faint-hearted. Veselka helps with many diseases. Every year we prepare nastoi from the veselka. The fungus is indeed very unique and rare. It must still be found! I do not recommend buying from someone, since it's not a fact that you will really be sold to a cart. Again in the continuation of the topic that heals Veselka. First thanks to Helen for their support. Tincture because they make vodka less than 40 degrees, 30-35 degrees. Apply this tincture is not recommended for cirrhosis of the liver and those who do not tolerate alcohol. 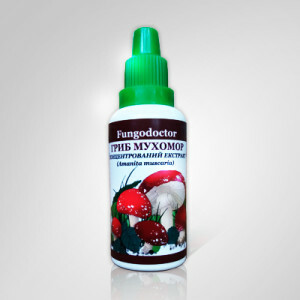 We use this tincture (my family) wherever possible: pieces of mushroom in the form antihemorrhoid candles, as well as flux, but when applied against hemorrhoids there is a burning sensation, but it is tolerable. Also we use the tincture externally at burns and frostbite the effect is stunning, not to mention the wound-healing properties. When applied internally, I personally stopped convulsions legs during sleep, and also flowing of hands. 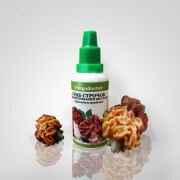 I'm not a doctor, so I describe in simple terms the sensations and actions of the fungus when applied. Also we use the tincture in the form of inhalation at runny nose, we take the marlechka fold four times (the size to close both nostrils), dip it into the tincture lightly squeezed, and then lie down on the nostril and breathe in slowly with the nose, and breathe out with the mouth, especially the first breaths do not do it very sharply and deeply, and then pierces right up to the brains. My brother dripped tincture on a droplet in each nostril, but it's very tough though and effective at sinusitis. I collected mushroom vesicle in August this year in the Rokytnyansky district of the Kiev region. 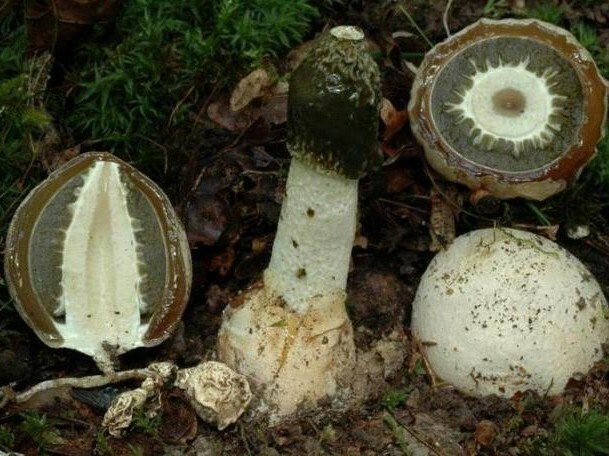 It's not such a rare mushroom. Places of growth of mushrooms are most likely determined by the specific smell. Most often, families also grow one-day mushrooms and eggs. Of the eggs made tincture. I checked myself on herpes on the lip, bite some insect (there was severe edema) and high pressure. Indeed, the improvement came very quickly. And in the treatment of cancer, it is better to obey doctors and not engage in self-medication. Although, if you really believe in something, the mushrooms will help. I think that veselka is a very strong immunostimulant and antiseptic. Do not buy a cat in a sack of various kinds of tricks. Hello, I live in Dnepropetrovsk. Tell us about yourself. Exactly 11 years ago, I was operated on oncology, it's been half a year since I was tested again and again I showed up infected foci. I had poor health, I did not agree to chemotherapy, and on the advice of the doctor I began to be treated with a mushroom. This mushroom helps me, the disease does not progress. 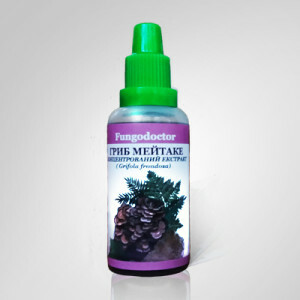 I every year drink 4 liters of tincture together with mushrooms, through each liter, month break. Twice a year I take tests and see a doctor. My relatives live in Minsk and every year I take 4 liters of tincture Veselka from them, it has been going on for more than 10 years. I know the joy, I've seen this amazing and stinking mushroom more than once. I knew that they were treating cancer. But in order for this to happen, as with the acquaintance of Nicholas, I did not think that it was possible. Nikolai's brother and his wife told me about this recently. Asked to find a fun. They said - Kolka rejuvenated. Nikolai suffers from alcoholism and smokes a lot. From that he thin and pale. Nicholas's wife made this three-liter jar of moist cheerfulness for herself this summer. Nicholas found this jar and drank it all. And it became surprising to everyone to quickly rejuvenate: rosy, the skin grew younger, many wrinkles disappeared and continue to disappear, and gain weight. And what's interesting about him moles have disappeared, including one big on the abdomen. My brother Nikolai said that he had drunk a jar somewhere in a week. Faster could not, since the kidneys and liver from alcohol he already worked poorly. And he fell drunk with a chick of vodka. Hello! Wild mushroom mushroom is really curative. I was convinced of my body. Swollen knees, walked with severe pain accompanied by a crunch. I generally do not talk about running (I could not). In the middle of the night my legs drooped and howled in pain. I used drugs different (prescription) for 2 years. Significant changes were not made. I switched to tincture from the veselka (I did it myself), I did not expect a miracle. Through 2 months began to run. My friend, my adjustment, heals, consulting with the attending physician, his patient cancer mother. Metastases stopped! 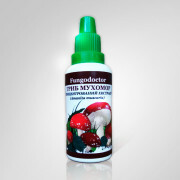 During the last year I use tincture from mushroom Vesyolka. I forgot what colds (runny nose, flu, ARI, viruses, etc.). Wounds, cuts, abrasions, heal very quickly. "Quicker than a dog." My fungus cured my relative trophic ulcer ten years ago. 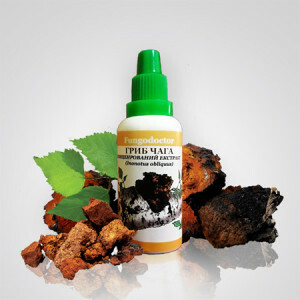 Tincture I accept 1 once a day (in the morning) on ​​the 1 table. spoon for 20 minutes before eating for a month. Then I take a break for 1 a month and then I take the reception again. I accept twice a year, in winter and in summer for two months with a break in one month. At first I took it for internal use, then I tried it for outdoor use, the action of Veselyka increases. When collecting fruiting bodies of the mushroom Veselka, I used it raw, one egg a day. The taste is not very, I tried it with sour cream and salt - it tastes better. She came to her mother and was horrified - her legs like thumbs, veins as knots and at a foot - trophic non-healing ulcer. Smears it with sea buckthorn oil and streptotsidom powders - the doctor recommends. And all to no purpose. Already began to hint about amputation. I brought with me a tincture of a veselka ordinary - we bought it from the old woman at the market in Brest. And only this tincture from the operation was saved - the wound began to heal and after three months cicatrized. A gruel is an amazing mushroom, many diseases are treated by us - cancer, ulcers of all kinds, and fibroids, mastopathy. I cured this child with a mushroom knee. Suddenly, the 5-year-old kid got a knee, so he could not walk. Swollen all and blushed. What only doctors did not put as a diagnosis right up to rheumatoid arthritis. How to treat all are silent - smear ointments. And my mother advised tincture veselki on alcohol. Tumor as a hand took off. After 3 days, swelling subsided and the pain passed. True, a year later the story with a knee repeated, but we already know what to treat and tincture veselka is and waiting for its time. I myself am from Ukraine. 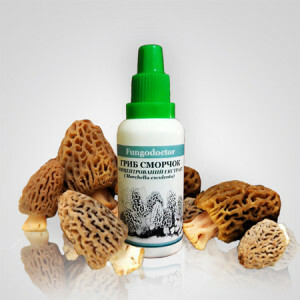 This mushroom there is known for a long time and enjoys well-deserved popularity. My father heals them bladder cancer. Already a month after the beginning of taking the tincture, the blood left the urine and the well-being improved. It is a pity that so few people know about this amazing mushroom. This is actually a miracle! My son was diagnosed with a doctor ringworm. Prescribed ointments and tablets - nothing helped. For two months the child almost completely became bald. I decided to take everything in my hands. Bandaged her head with a tincture of veselka - a week later, began to grow hair.